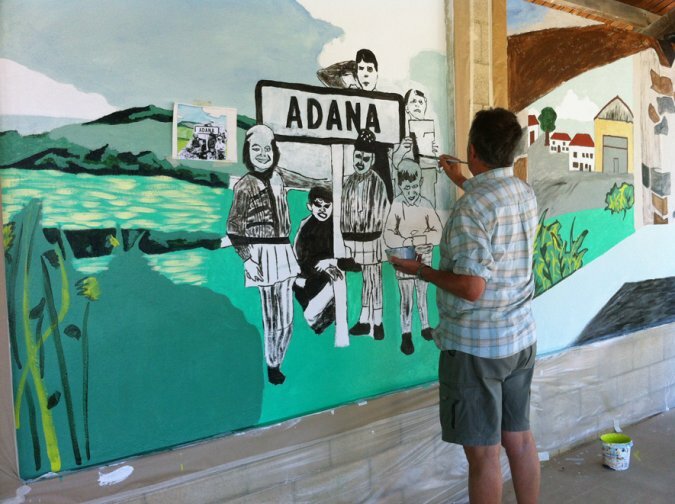 Adana is a very small town full of people willing to work, collaborate and try new things. 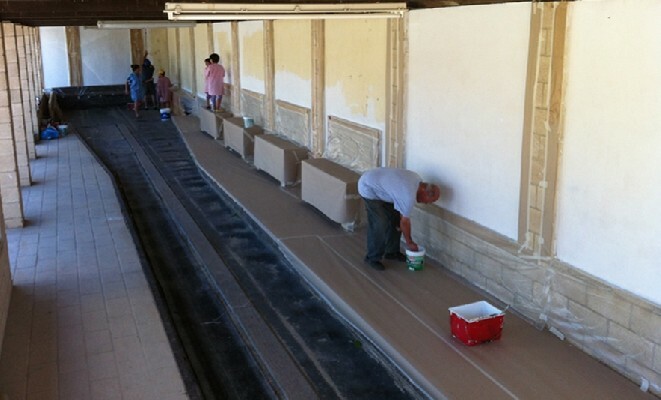 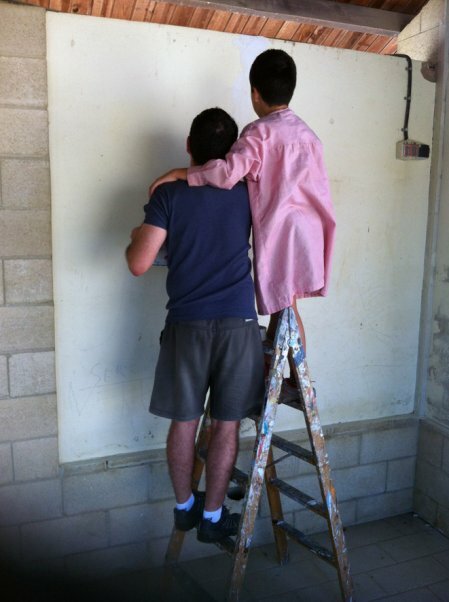 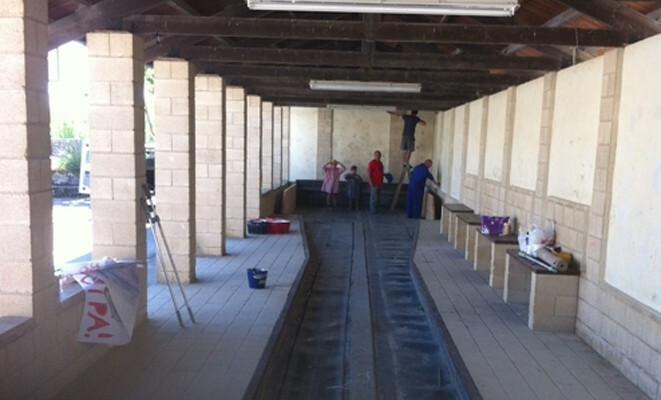 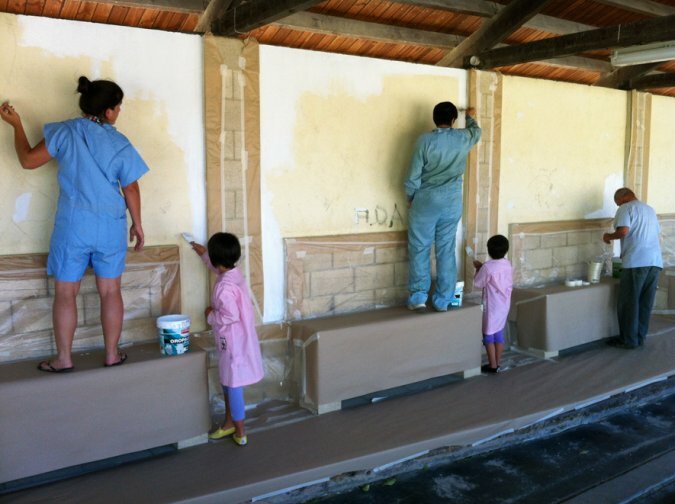 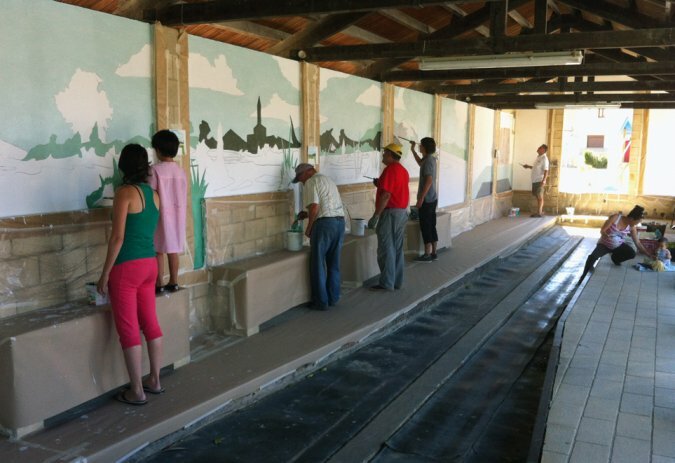 Over 20 people (out of a population of 50) came to help out with everything from prepping, to painting, to finishing up! 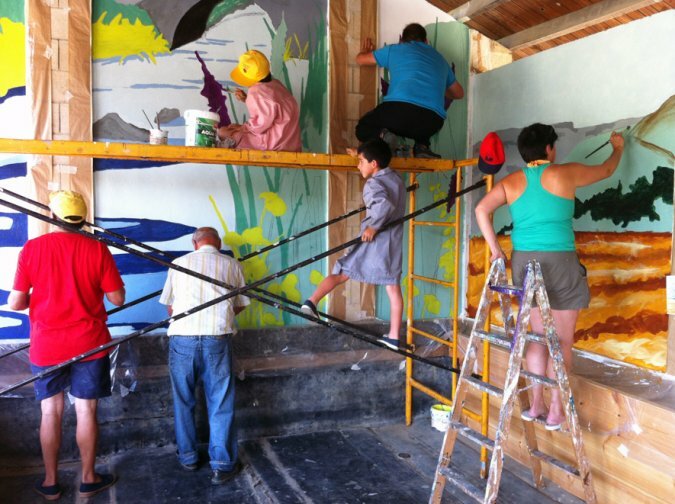 Everyone collaborated, children, adults and even the eldest members of the community came to help with ladders, scaffold, and even snacks and beverages to keep the crew energized and motivated! 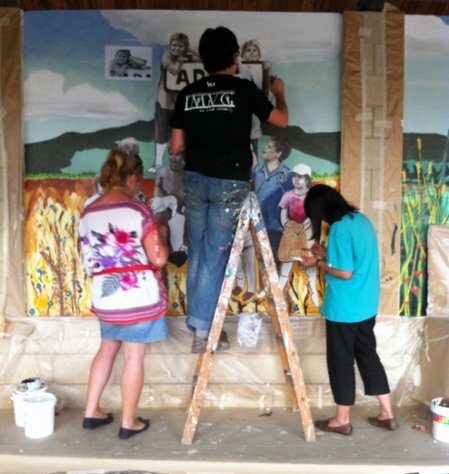 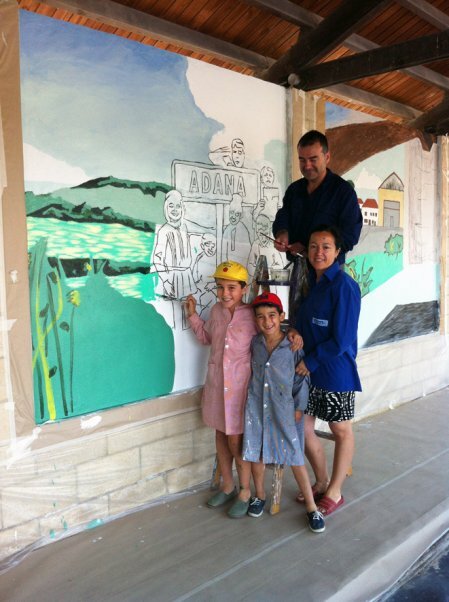 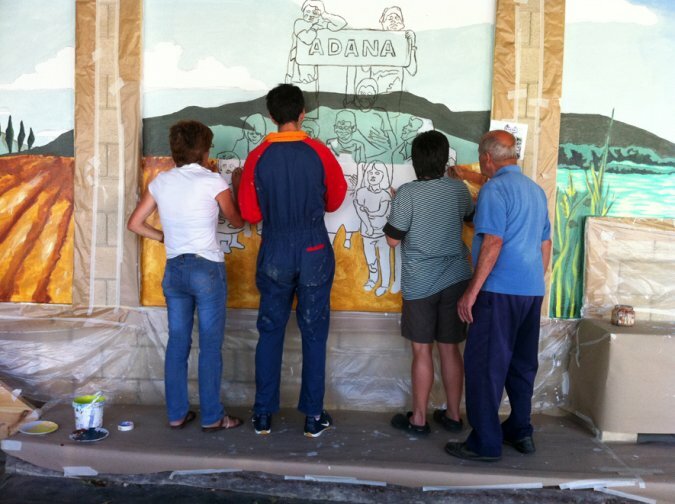 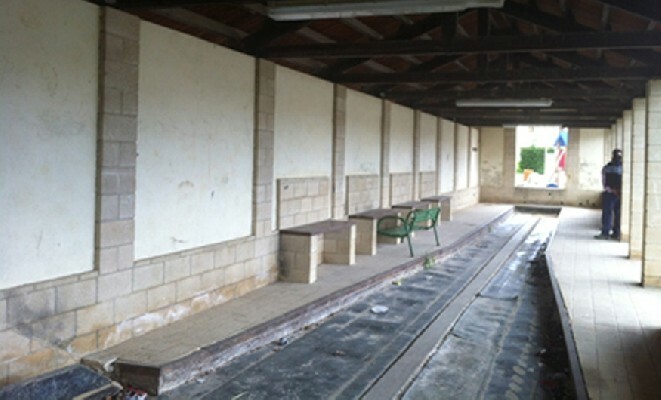 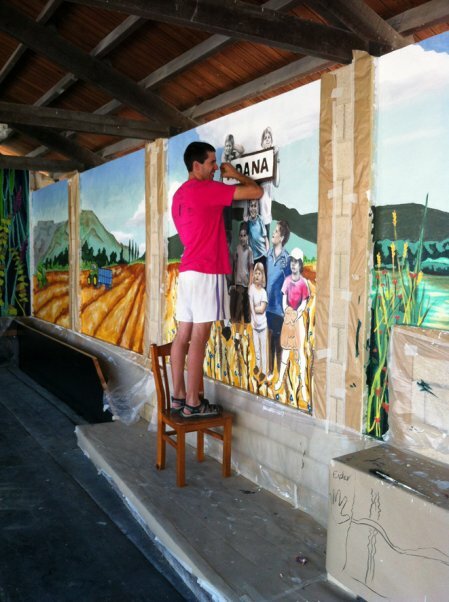 The mural depicts this agricultural town in the past and in the present. 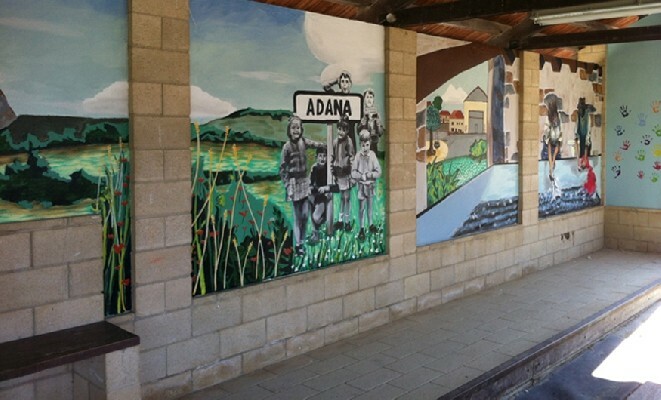 The main image is a reproduction of an old photograph of children at the highway sign of the town. 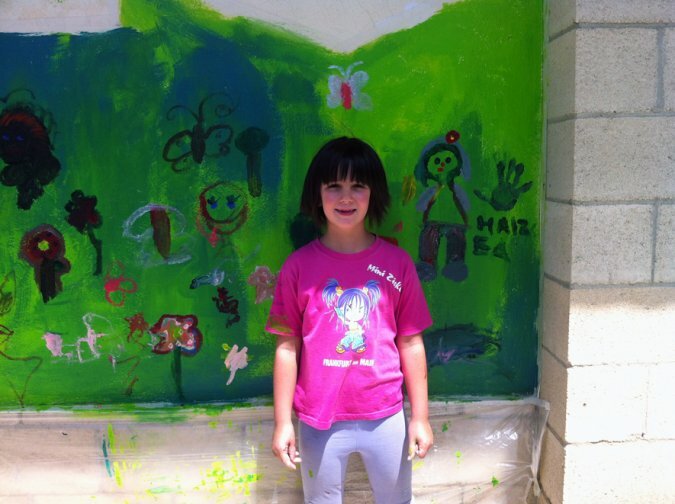 The photograph was restaged with children of today and taken by a neighbor and amateur photographer. 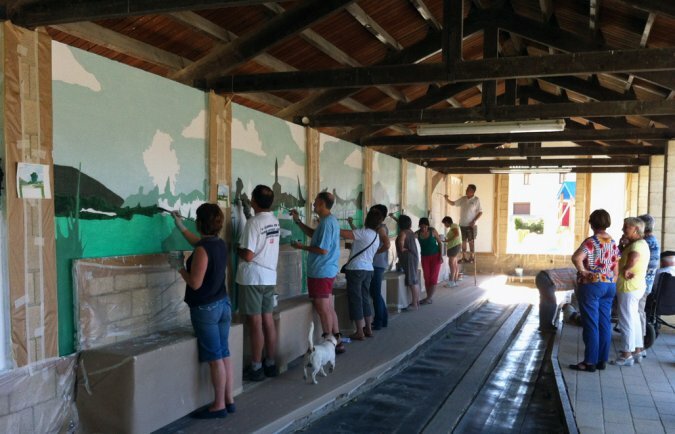 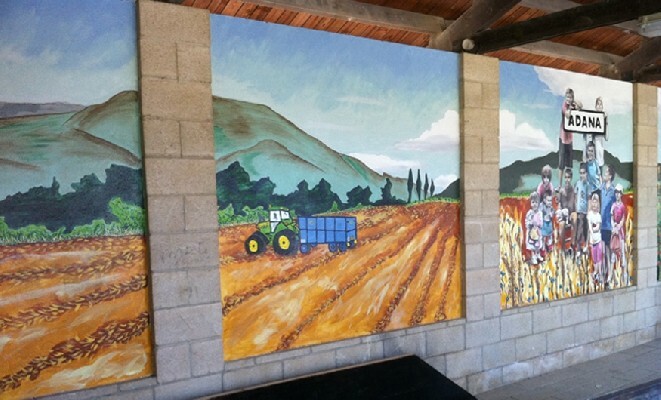 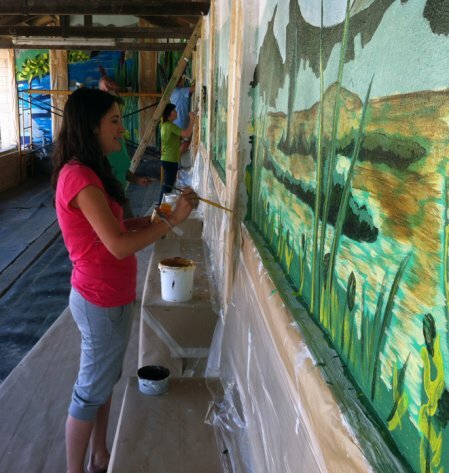 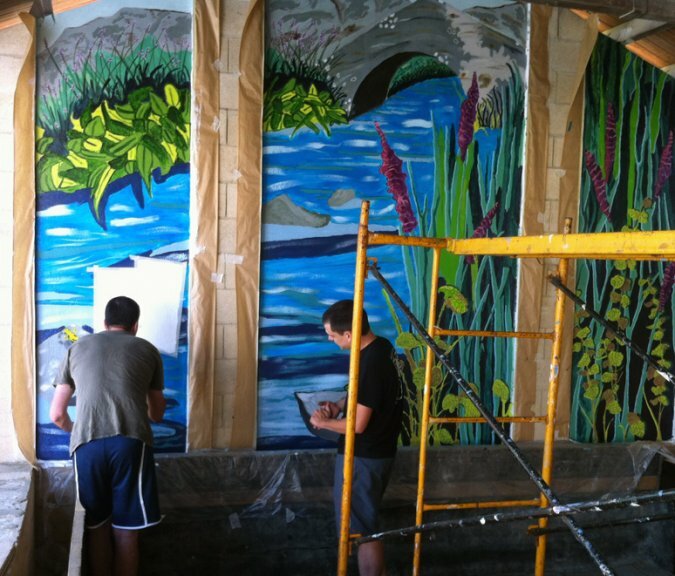 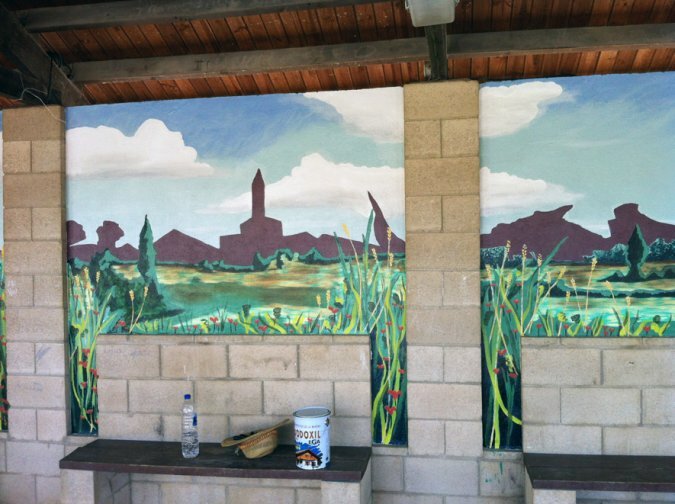 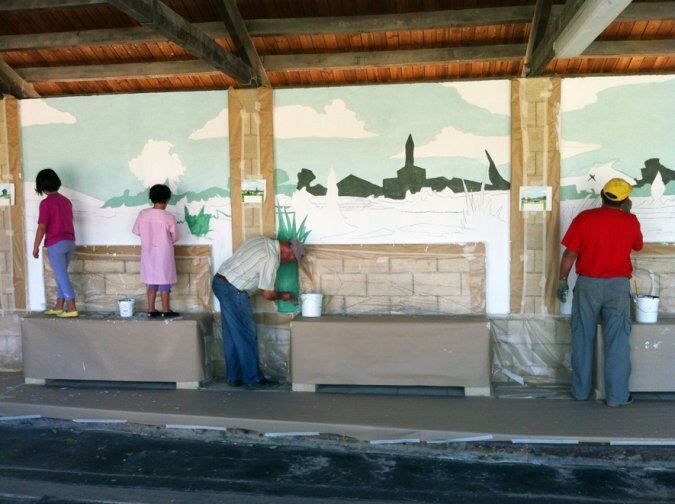 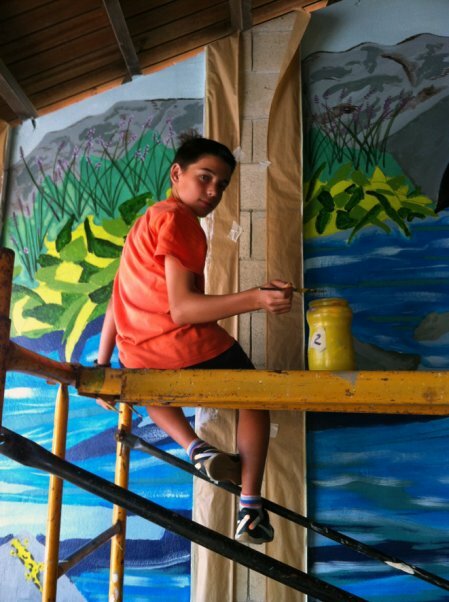 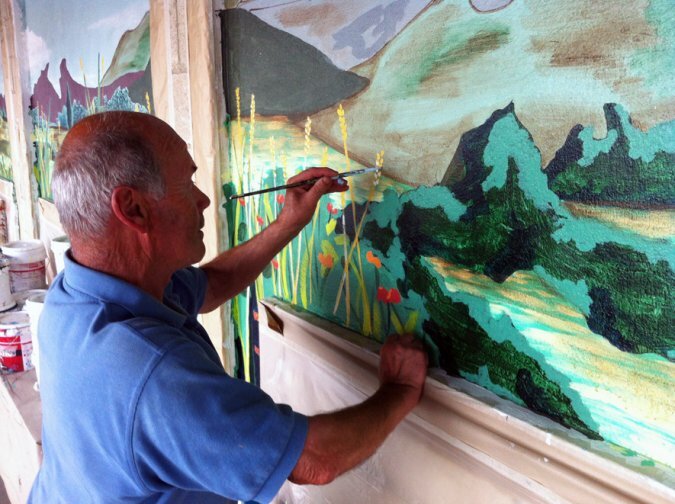 Other elements in the mural include the landscape, working in the fields, the old washing well and the water mill that was recently restored. 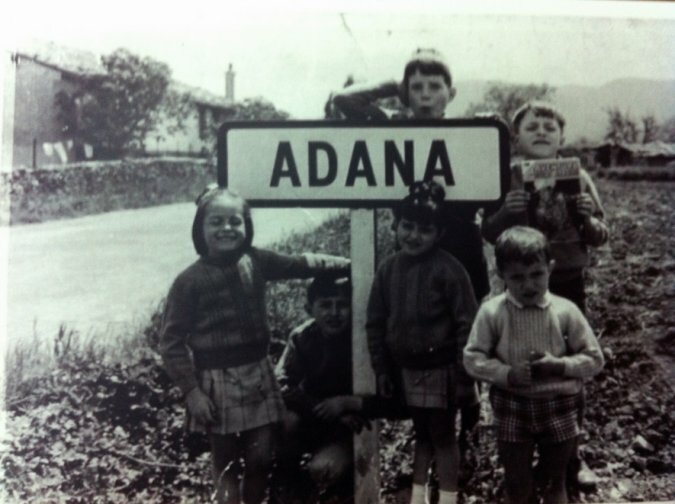 People of all ages from Adana and various towns across the county of San Millan.